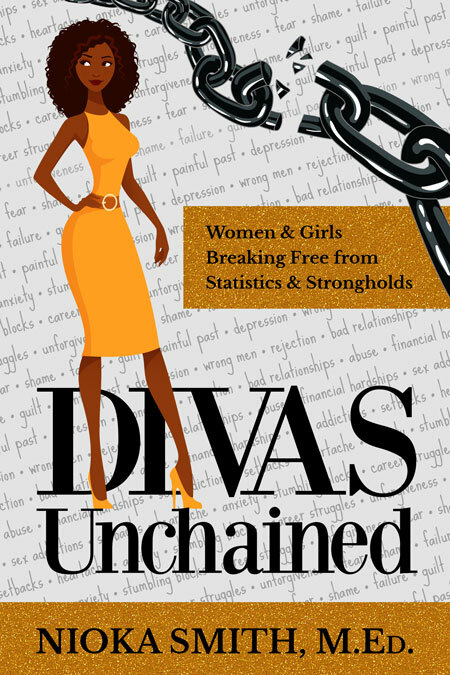 Beetiful had the pleasure of creating the book cover for DIVAS Unchained: Women & Girls Breaking Free from Statistics & Strongholds by Nioka Smith. Growing up in a poverty-stricken house polluted with drug addiction, domestic violence, and gang involvement, Nioka Smith’s life as a young girl was filled with much turmoil and fear. She was sexually abused by her father at the age of fourteen and pregnant at the age of seventeen. Her life didn’t spell out a successful future, which is why her mind-blowing, triumphant story will empower and transform women and girls all over the world. 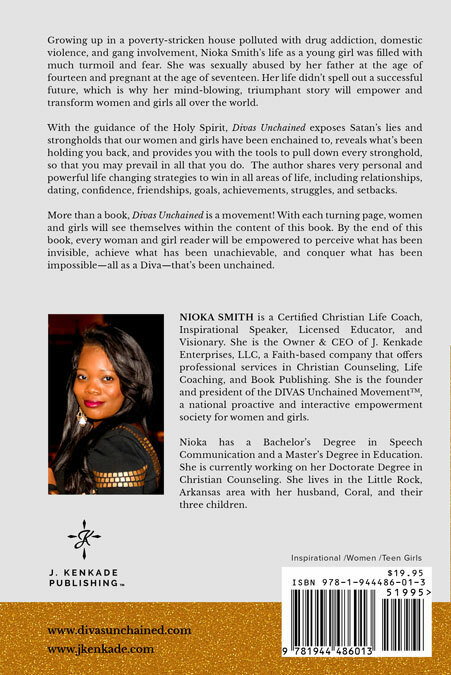 With the guidance of the Holy Spirit, Divas Unchained exposes Satan’s lies and strongholds that our women and girls have been enchained to, reveals what’s been holding you back, and provides you with the tools to pull down every stronghold, so that you may prevail in every area of life. The author shares very personal and powerful life changing strategies to win in all areas of life, including relationships, dating, confidence, friendships, goals, achievements, struggles, and setbacks. More than a book, Divas Unchained is a movement! With each turning page, women and girls will see themselves within the content of this book. By the end of this book, every woman and girl reader will be empowered to perceive what has been invisible, achieve what has been unachievable, and conquer what has been impossible—all as a Diva—that’s been unchained. 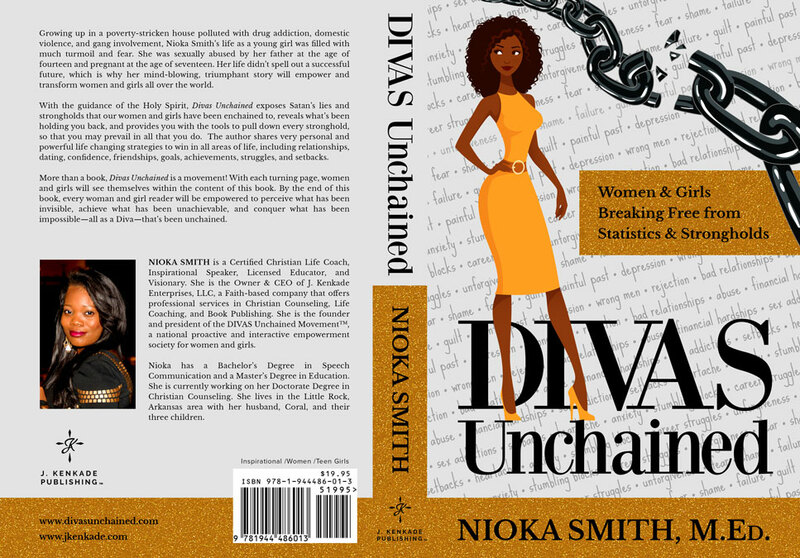 Get Divas Unchained by Nioka Smith today!